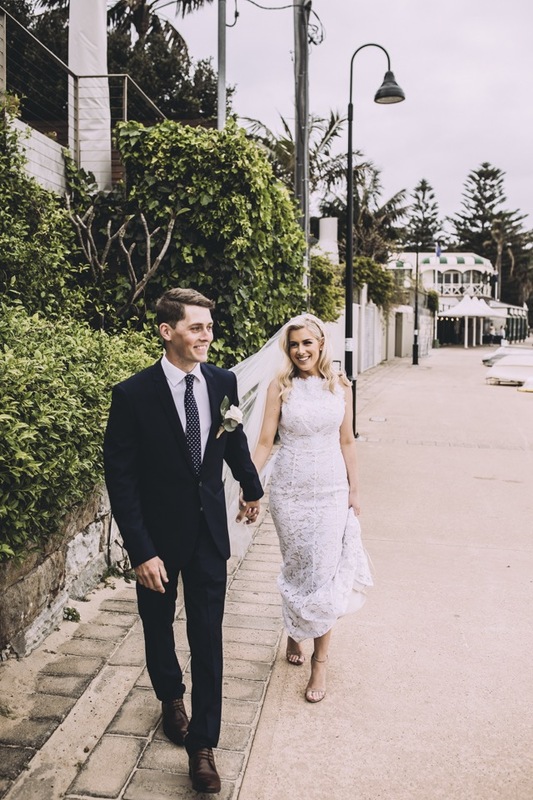 Christy & Jake — everAFTER magazine everAFTER magazine celebrates and inspires a couple’s journey from their engagement through to their wedding day and beyond including lifestyle and travel. 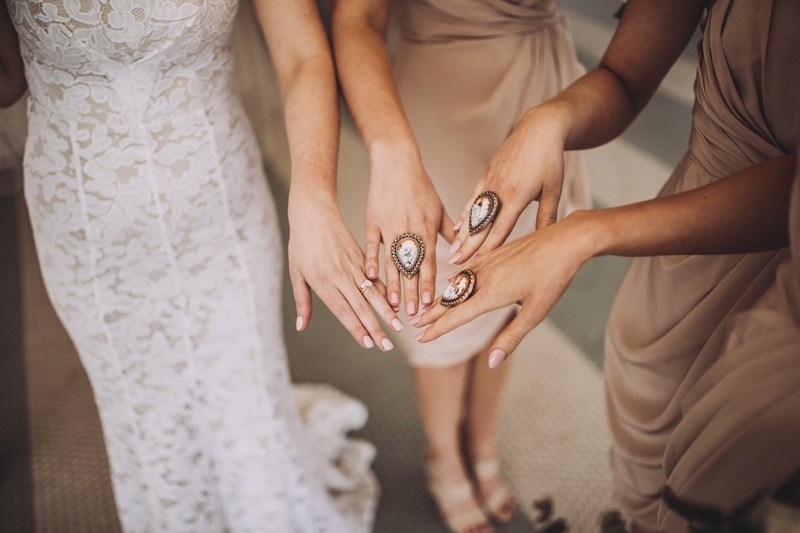 Wedding venues, bridal, fashion and styling inspiration. 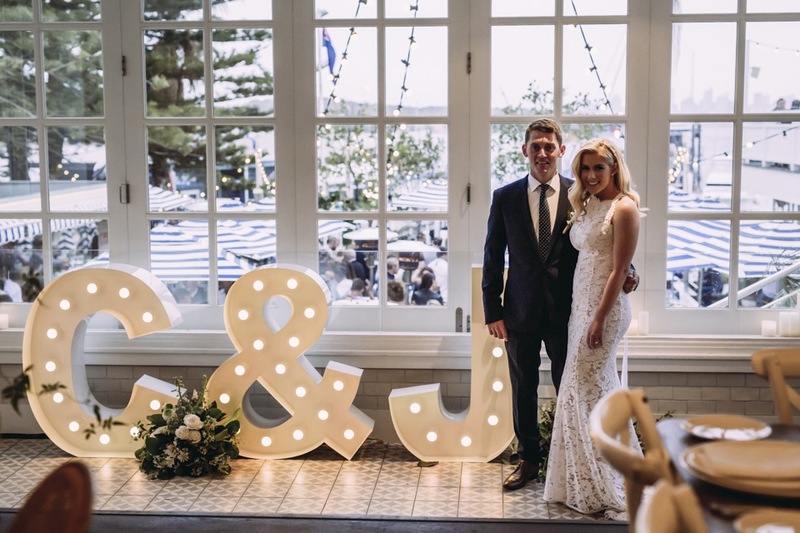 Watsons Bay Boutique Hotel was the ideal venue for Christy and Jake. 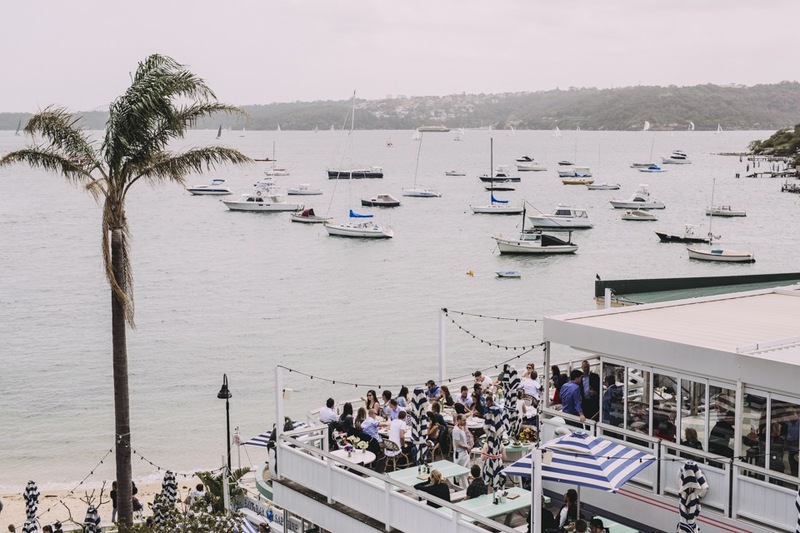 “It was perfect for our guests to enjoy a drink and take in the beautiful view. 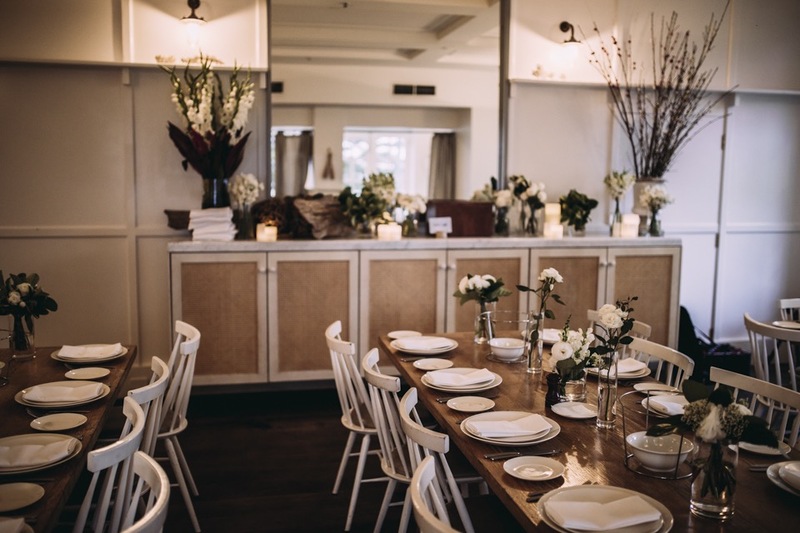 We loved the style of the venue and pre-existing décor. An added bonus was having accommodation as many of our guests stayed for the weekend. 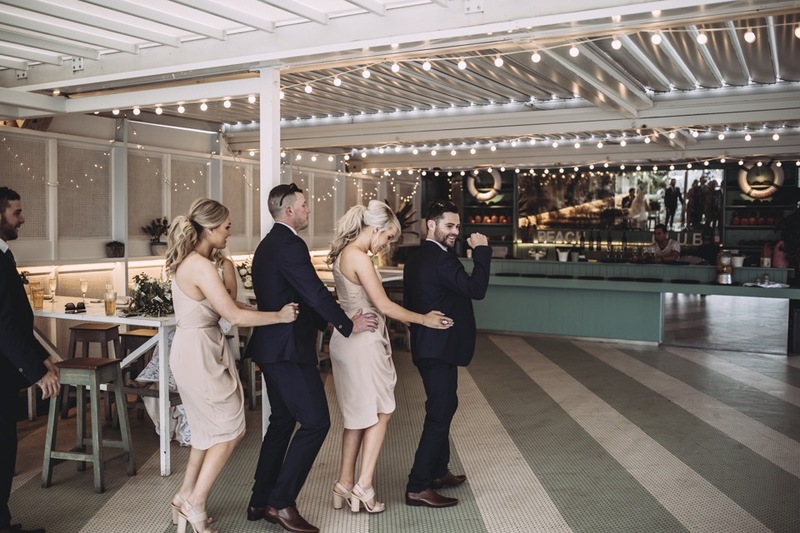 It was a mini getaway and wedding all rolled into one!” Christy and Jake held their ceremony beneath the fig tree at nearby Robertson Park. 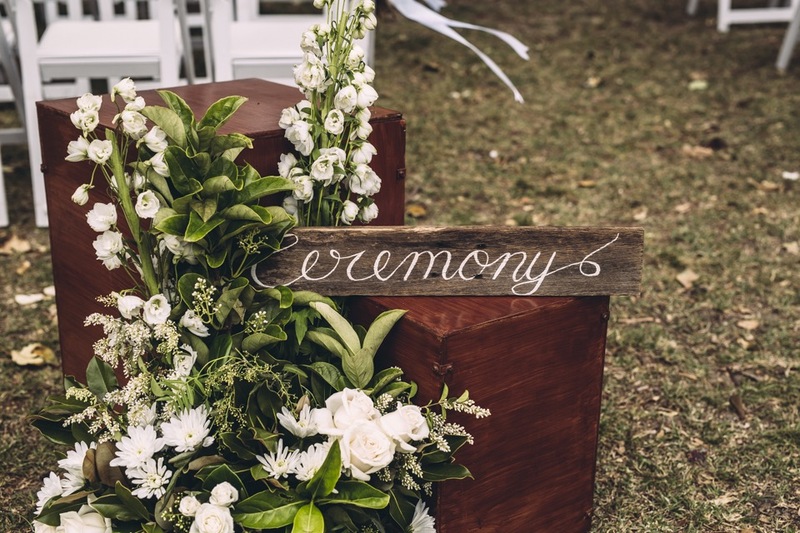 A wooden ceremony frame decorated with blooms and foliage captured the scene and the picturesque views beyond. Christy’s dress was designed by Lover. 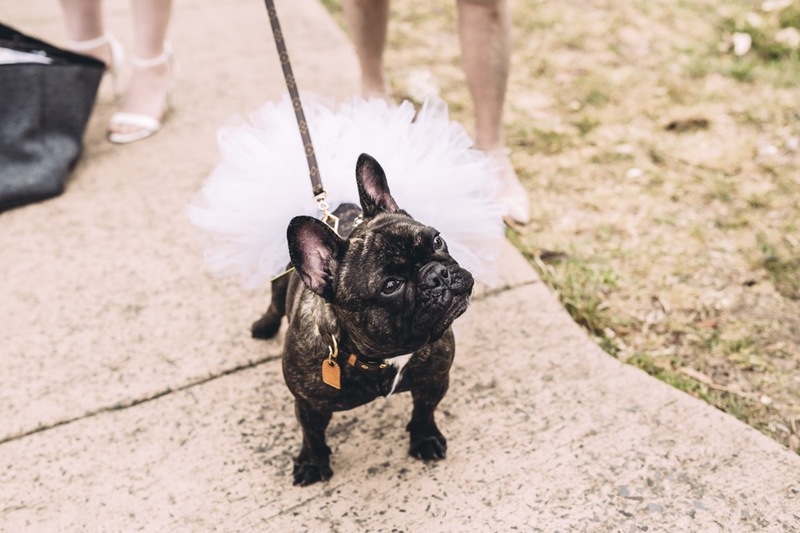 “It was the first dress I tried on. I purchased it 10 months in advance and was worried I might change my mind over the coming months. 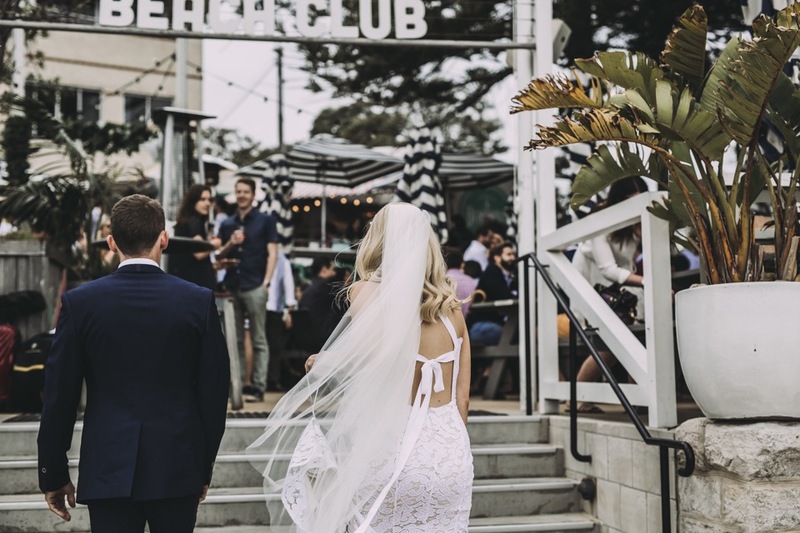 However, I still loved the dress just as much on the day as I did when I first tried it on.” The dress was complemented by a pearl Viktoria Novak headband and a Viktoria Novak veil. Jake wore a navy suit by Politix paired with a white shirt and navy and white spotted tie. His shoes and belt were both tan coloured and as a gift from Christy, Jake wore Tiffany & Co. Infinity Cuff Links. As the venue already looked so beautiful, we wanted to ensure that our decorations only enhanced the overall look. 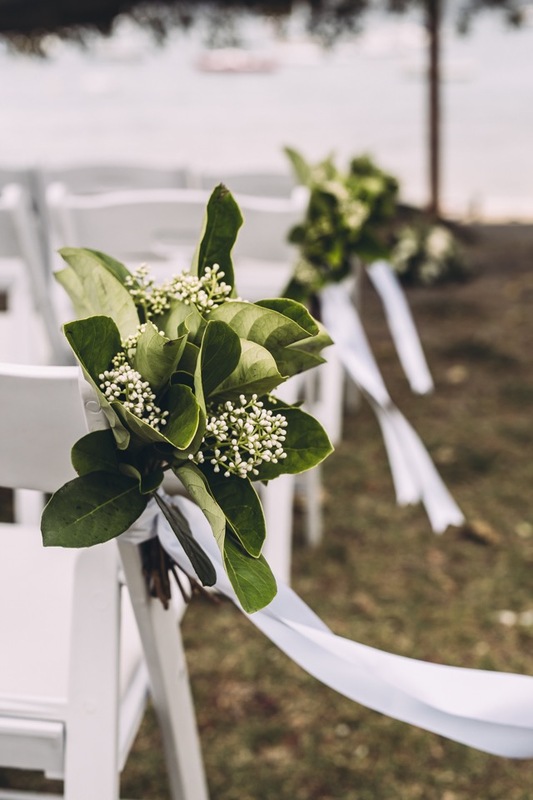 We chose white blooms paired with lush greenery for the reception dining tables as well as the floral arch at the ceremony and the bridal party bouquets.” The bouquets featured roses, blue gum and amaranth. 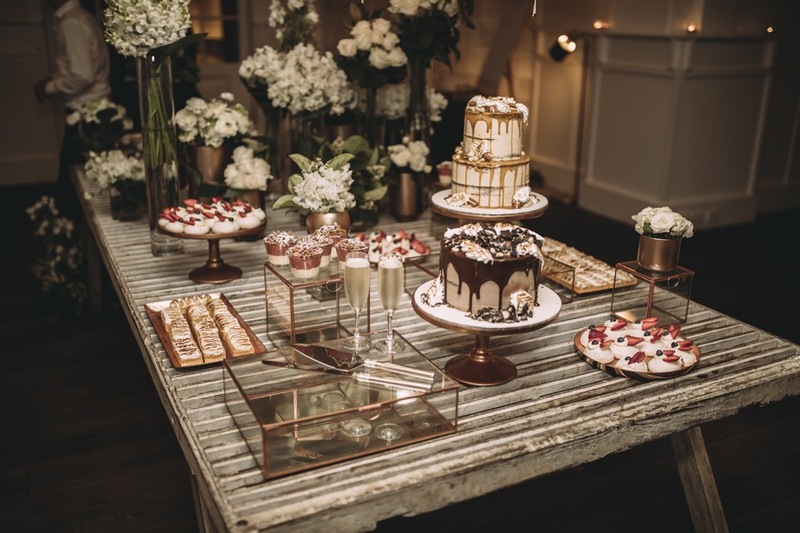 “I am obsessed with copper and rose gold, so these elements were also incorporated throughout our day namely as part of our stationery and our dessert table.” Another sweet styling detail was the decorated wooden ‘Mr’ and ‘Mrs’ signs fastened with white ribbon to the back of the couple’s cane chairs.